Crescent Electric (Lakeside, AZ) concludes its first annual Lockout/Tagout certified training. Crescent Electric Supply Company in Lakeside, AZ recently held their first ever annual Lockout/Tagout (LOTO) certified training class for licensed electricians. The event was held at Northland Pioneer College (NPC), the local community college. Over 50 attendees participated in the 1-day training and social event, some from over 60 miles away. This was a fantastic turnout for the small community in the White Mountains of Arizona. 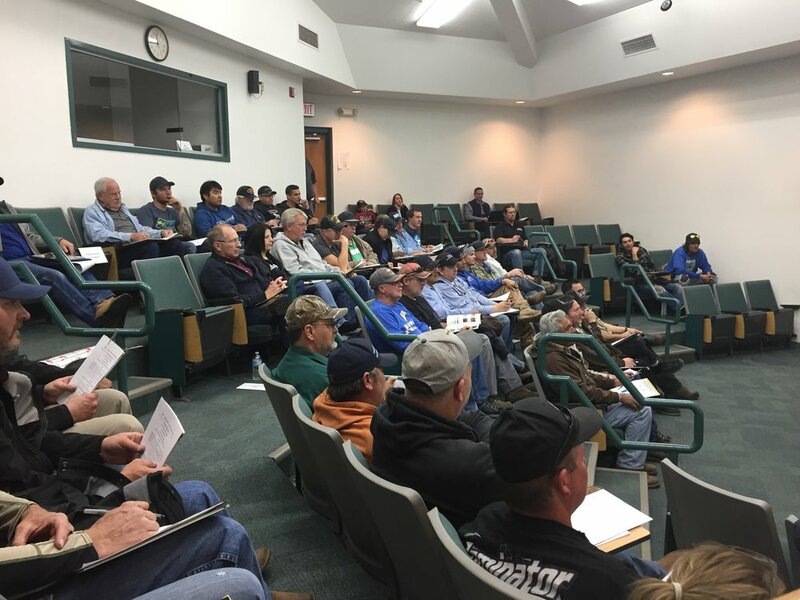 Over 50 licensed electricians participated in a 1-Day Lockout/Tagout training event with IDEAL Industries. All those that participated received a certificate good for one year in LOTO certification. At the conclusion of the class, Lockout/Tagout kits were on display and for sale at a discounted price for our attendees thanks to our IDEAL partnership. Dan Steindam of IDEAL Industries. Dan Steindam of IDEAL Industries instructed the informational training classes. 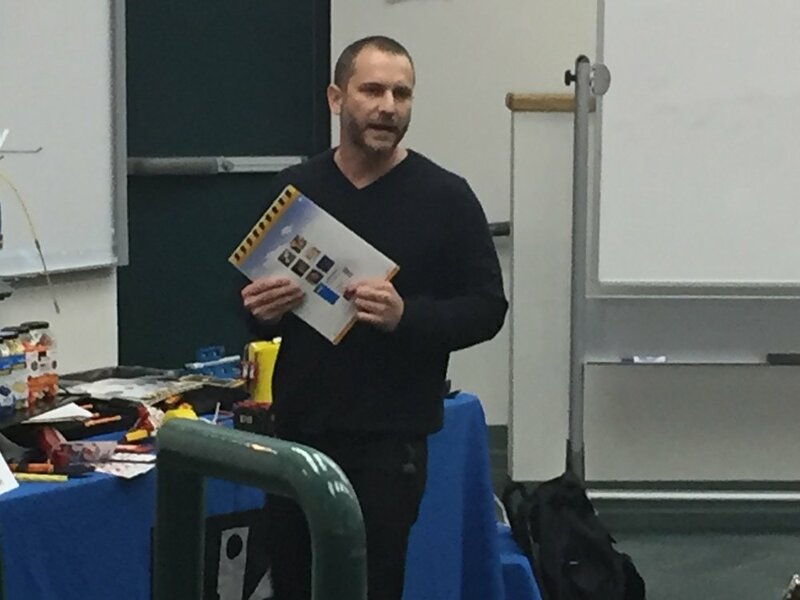 In addition to the certificates received by the attendees, Dan also hosted a Q&A segment with tool prizes awarded for correct answers. The event was a great success and very well received by the participants! A big thank you goes out to Dan for making the 180 mile trip from Phoenix for the event. Crescent Electric is proud to have partnered with IDEAL to provide this great event. Another special thank you goes out to Justin White from Northland Pioneer College (NPC) located in Show Low, AZ for opening the doors to their facility for this event. Justin was instrumental in the success of this event by providing a comfortable classroom setting. Jeff McKenzie, Crescent Electric Phoenix District Manager, was also in attendance making the 180 mile trip (360 miles round trip) from Phoenix to spend time with our key customers. Another Lockout/Tagout class is already being planned for summer 2018. Pictured left to right: Jeff McKenzie (Crescent Electric), Steve Harmon (Crescent Electric), and Dan Steindam (IDEAL Industries). This training event saw a great turn out, and reiterated the importance of Lockout/Tagout. Workplace safety depends on individuals supplied with proper safety training, and we're honored to have provided that. To learn more about the Lockout/Tagout program, visit OSHA.gov. View Lockout/Tagout products and other safety devices on cesco.com.